Custom solutions should be just that - custom. Think about how your custom IDX can become a powerful marketing tool. With some Realtors paying as much as $20,000-$50,000 dollars for a custom IDX system, I can’t help but wonder why then I am not seeing more clever uses of this data. After all, the entire point of something being custom is to make it unlike what everyone else has. I suppose part of the problem is that most people outside of the computing field do not understand how a database works. The power lies in two little letters – if. An ‘if statement’, when used cleverly, can suddenly turn your custom IDX system into a powerful marketing tool. An ‘if statement’, when used cleverly can really make your website stand out from the crowd. If a listing creation date is less than a few days old, ask your programmer to display it on your new custom blue sheet page. Prospects could end up checking your site on a daily basis to see what’s new in town. If a listing is X% (some value you define) under the tax value, indicate to your site visitors that this property might be priced to move and a great investment. If a listing has something that people really want; expand on that. For example, if a community has one of the best elementary schools in the state; use it for your marketing. Why not have your programmer, add an if statement that checks for that school and when appropriate includes links to information on your site about that award-winning school and why it is so desirable to buy in that district? If a particular neighborhood is really hot, why not create an information page on your main navigation menu? 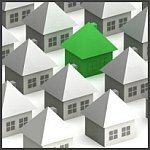 On that page you could sell the neighborhood and include just the properties for sale in that community. Think about what property buyers in your area find valuable and add that information to all of the listings that appear on your site. If you don’t offer much more than what a prospective customer can find on Realtor.com, why should anyone even bother to visit your site? And, perhaps the biggest thing that most Realtors fail to do with their customer IDX system is to provide more focus on their own listings. In an attempt to make prospects think they have every listing in town, many Realtors fail to feature their own properties. There’s nothing more frustrating than to see a property on Realtor.com and travel to the listing agent’s website only to find nothing more than the same exact information that was listed on Realtor.com. Chances are good your prospect will go back to Realtor.com and keep looking; after all, your site was nothing particularly special. Why not get that expensive programmer of yours to create a second database for you that only has your listings? When your site visitor comes upon one of your listings, instead of being limited to the information in the local MLS database, you could instead display as much information as you want about the listing. You can add virtual tours, extended property descriptions and as many pictures as you want. The options are only limited by the amount of information you want to share and how much effort you want to expend on gathering that information. Custom should mean just that – something made uniquely for you to stand out from the crowd. Think about those things you always tell your customers when you are showing properties. If there are commonalities that could possibly be tied to information in the MLS listing, use it to your advantage. If only Realtors and their programmers truly explored the potential of these custom IDX database programs, then that $20,000 investment would not seem quite so daunting.